NEW YORK - FEB 11, 2015: Empire State Building and Lower 5th Ave with crossing light green, walk sign, in 4K slow motion in cold winter, Manhattan NY. 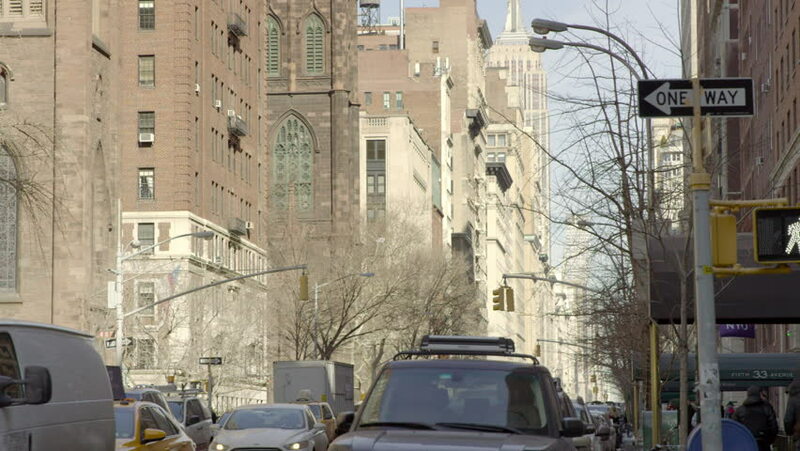 Fifth Avenue is a major throughway in NYC. hd00:41Venice, Italy 8 February 2015. The old Venetian urbanization. Narrow channels and paving. Cars are replaced by boats.